A Burrunjor is a bipedal between 20-30 feet tall and is 3 toed, scaly skinned and Tyrannosaurus Rex like cryptic. It has 2 short arms like the Tyrannosaurus. 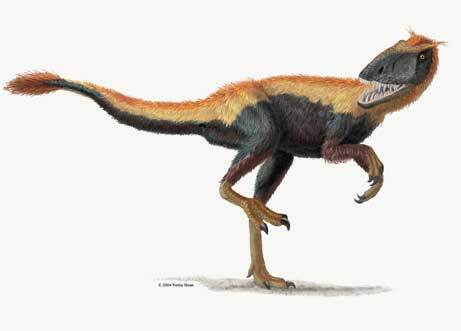 The Burrunjor is said to resemble the Theropod dinosaurs and is believed to be a carnivorous animal. The Burrunjor is mostly seen in the Arnhem Land in the Northern Territory of Australia. It is said that the Burrunjor is based off a giant lizard “Megalania prisca. (Gilroy)” “The Megalania prisca, the largest terrestrial lizard known, was a giant goanna (monitor lizard)” (Mussuer). The Megalania is around 5 meters long and could be found around the southern Australian coast. The Burrunjor is most likely originated from Aboriginal oral tradition. The Aboriginals are tribes in the Australia region. “They are believed to have lived in Australia for between 60,000 and 40,000 years, their early ancestors coming from South-East Asia” (Dunlop ). There are around 500 different aboriginal tribes in Australia each with their own language. “There were many myths and rituals connected to both the tribe's ancestors and the creators of the world, none of whom ever died but merged with the natural world and thus remained a part of the present” (Dunlop). Some of those myths are the stories of the Burrunjor and it’s sightings. There are many stories that are told till this day of the Burrunjor. One of a man who went into the woods and got lost; he was being tracked by policemen and two aboriginals. They woke up one night to a loud thunderous sound and the ground shaking. The policemen later told the man that if he ever went back into the woods and got lost that they would not come looking for him. He would not tell what exactly he saw, because he said that nobody would believe him. The most recent sighting of the Burrunjor was in 1985 by a modern day family, who were going to a Roper River Mission. They reported that the monster was around 20ft. tall. The family said that they didn’t stick around to stay and left immediately. Another sighting was in 1950’s: “Back in 1950, cattlemen lost stock to some mysterious beast that left the mutilated, half-eaten remains of cows and bulls in its wake over a wide area, stretching between the border country and Burketown. Searchers on horseback found huge reptilian tracks of some bipedal-walking beast. They followed these three-toed tracks with their cattle dogs through some rough jungle terrain until they entered swampland beyond which was more dense scrub. However, it was at this point that the cattle dogs became uneasy and ran off. The horses were also uneasy and obviously did not want to cross the swamp. While most of the cattlemen decided their animals knew best, two men set off on foot with their carbines. The story goes that they soon came across further tracks in an open area beyond the swamp. While his mate searched about, the other man briefly spotted the dark form of an enormous creature, perhaps 30ft in height, further off in dense timber. The men left the scene in haste” ("Webnode"). This website has information on the Megalania, which is what the Burrunjor is supposed to be originated from. This website has all types of cryptic dinosaurs, which would be useful for anyone comparing cryptids. This website has plenty of information on the Burrunjor.